The Pick of the Day is conceivably the cutest car in the known universe, as chubby and round as a baby panda. 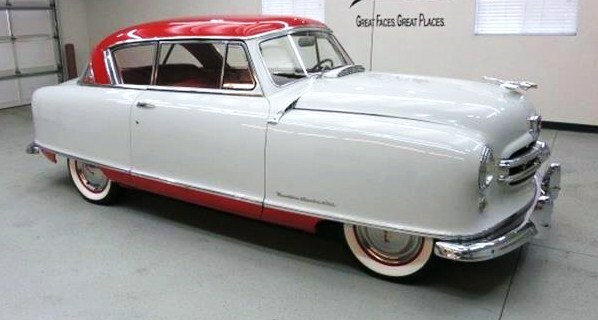 This sparkling 1951 Nash Rambler Country Club hardtop is a red-and-white concoction that looks like an ice-cream sundae on wheels. 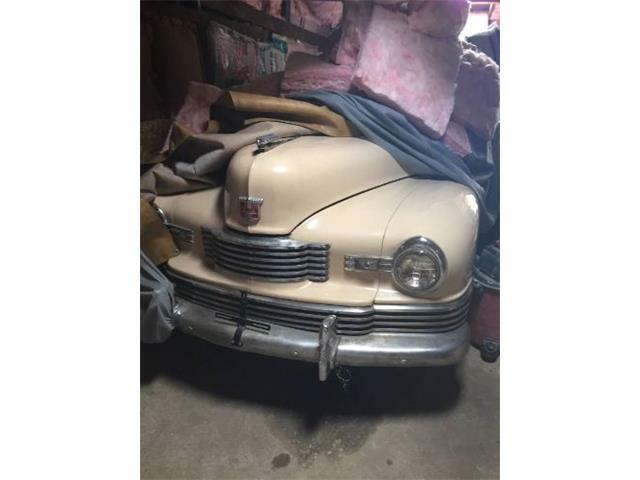 The cheery little Nash is offered for sale by a classic car dealer in Sioux Falls, South Dakota, which somehow seems fitting. 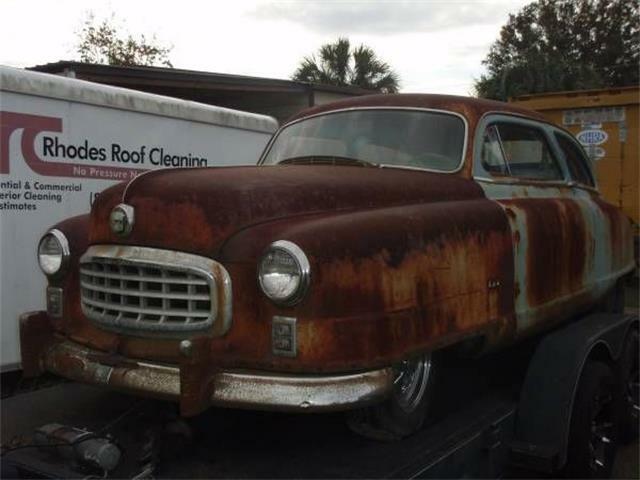 Although you might recall seeing this same little car sold in January at the Barrett-Jackson Scottsdale auction. 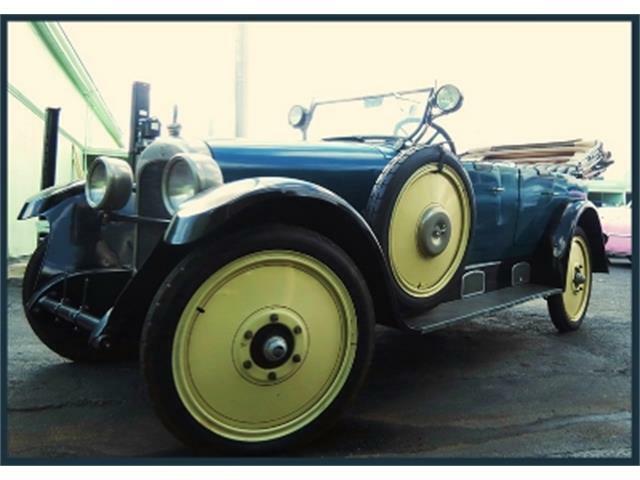 The gallery of photos shows an apparently restored coupe looking fresh and clean, inside and out. 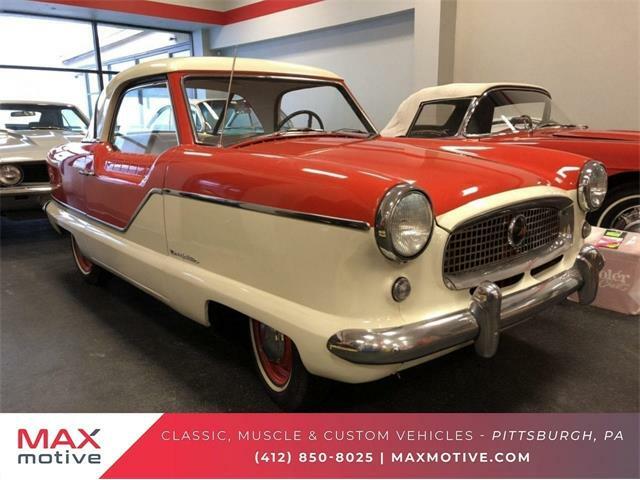 The bright-red interior is especially impressive; manufacturer Nash-Kelvinator wanted to show the American public that a compact car could have the same classy style, features and appointments as a full-sized model, and the interesting dashboard and doors shows the effort. 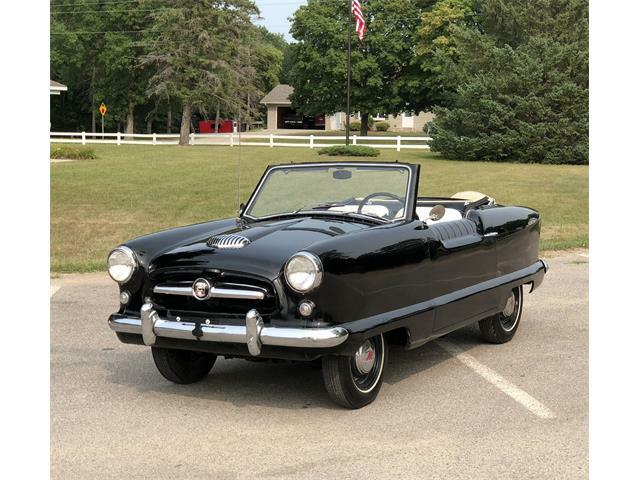 Nash named its small car Rambler before that became its own standalone brand under American Motors Corp. Rambler had already been a highly regarded brand in the early days of motoring. 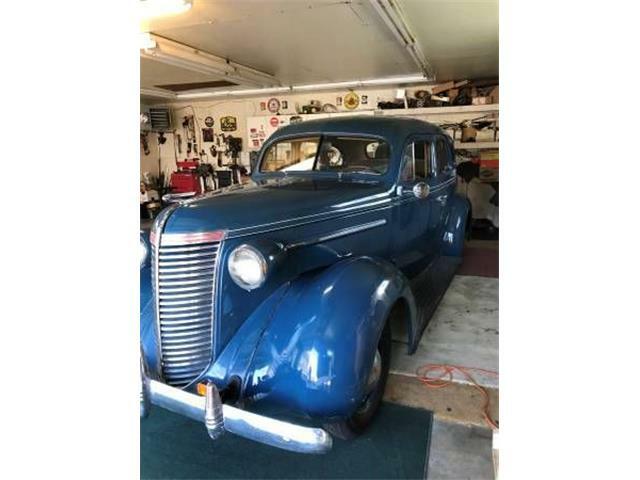 Nash boasted that its cars were built using the latest “Airflyte” construction, which essentially meant unibody, with decent passenger accommodations despite the car’s mere 100-inch wheelbase. 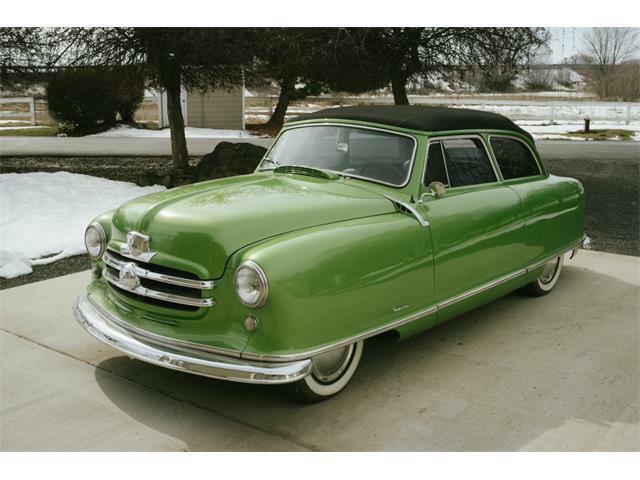 The Nash Rambler features signature “inverted bathtub” styling with fender skirts that covered both the front and rear wheels, which looked either stylishly modern or hopelessly dorky, depending on your point of view. 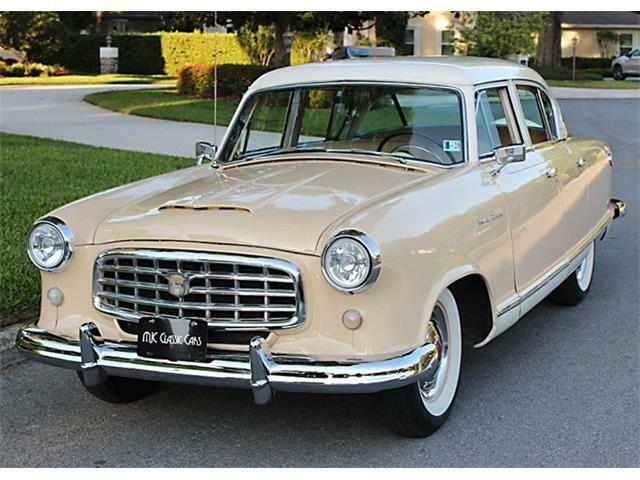 In retrospect, the design is appealing on a number of levels – the hardtop roofline adds tremendously to the overall style – and more than one radical street rod has been built from the bones of a compact Nash or its successor, the Rambler American. Hopefully, this cutie will not suffer that fate but will be appreciated for the unique expression of automotive design that it is. 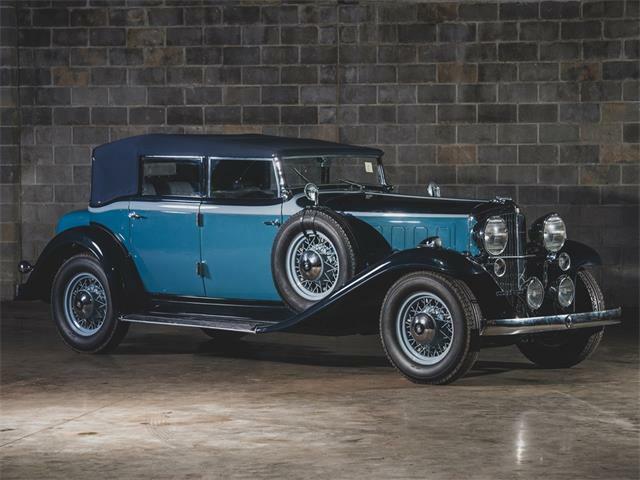 That would include appreciating its 173 cid flathead six-cylinder engine that churned just over 80 horsepower, which should be enough to propel this aerodynamic 2,500-pound car at highway speeds. 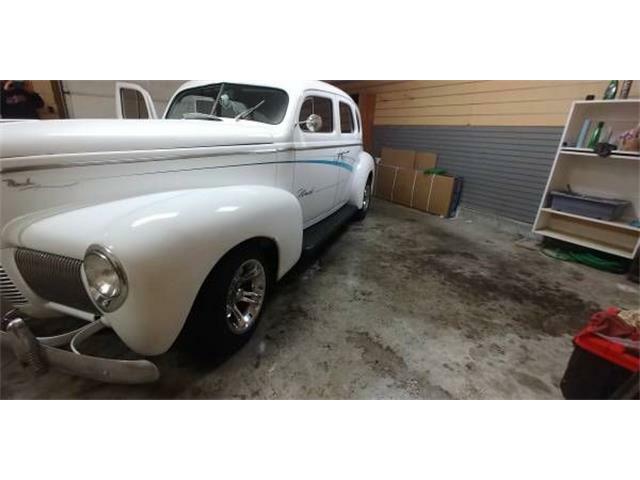 “The car is a lot of fun to drive, and always turns heads wherever it goes,” the dealer says in the ad description on ClassicCars.com.